TDSR Vice President Dr. Rudy Morales Urby testifies to house select committee- The house select committee on opioid and substance held its final meeting on August 8th, 2018, where the committee public testimony regarding the impact of opioid epidemic on Texas. Dr. Urby provided a powerful personal testimony on the impacts of opioids and advocated for increased access to treatment to ensure funding. TDSR to co-host National Hispanic Medical Association Southwest Regional Meeting- TDSR is proud to co-host the National Hispanic Medical Association Southwest Regional Meeting on October 11th, 2018. The NHMA, established in 1994 in Washington DC is a non-profit representing the interests of 50,000 licensed Hispanic Physicians in the U.S. Learn about NHMA here. TDSR attends 53rd Anniversary of Medicare and Medicaid hosted by Texas Organizing Project- TDSR attended a press conference hosted by the Texas Organizing Project celebrating the 53rd anniversary of the passage of the Medicare and Medicaid Act. TDSR had the opportunity to highlight the success of the program and advocated improvements that would help the vulnerable. 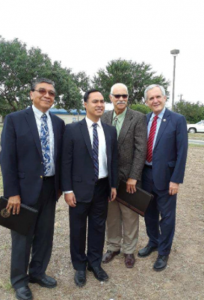 Among those present were members of congress including Joaquin Castro and Lloyd Doggett. Pictured from left to right: TDSR President- Dr. Jamie Estrada, U.S Congressman Joaquin Castro, TDSR Vice-President Dr. Rodolfo Morales Urby, U.S Congressman Lloyd Doggett among several dignitaries that attended the event. TDSR participates in CODE BLUE conference- The event hosted by the prestigious Texas Lyceum included several key note speakers that discussed the current state of Texas healthcare. 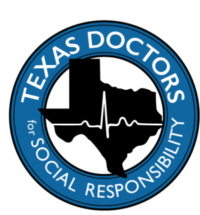 Dr. Estrada of TDSR discussed the importance of Medicaid in Texas and introduced the Film, “Texas Unmedicaided” created by TDSR member Dr. Leo Lopez III. 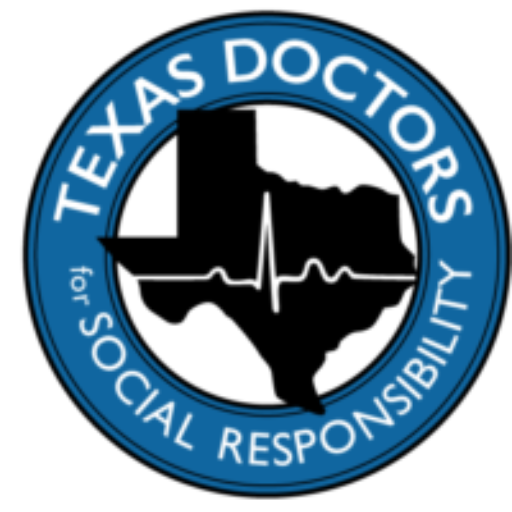 TDSR was actively involved with Medicaid Expansion efforts in the state of Texas during the ACA implementation. With its discussion back on the table, expansion seems more possible than ever before.